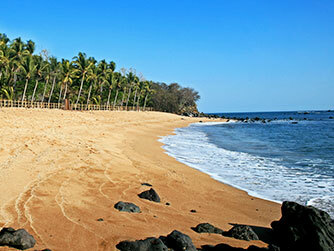 Los Cóbanos has a beautiful beach of golden sand, located in the largest northern Pacific rocky reef. 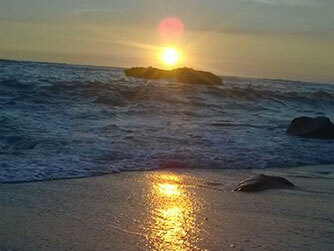 It is a protected area where you can witness the conservation and release of sea turtles in danger of extinction. Ideal for scuba diving; you can observe coral reefs, and shipwrecks sunk 120 years ago. Los Cóbanos is a small village with a community that works together, in order to preserve and protect the site. They develop community projects that benefit the locals, visitors and the environment. Playa Los Cóbanos has some excellent international chain hotels, clubs with golf courses and eco-lodges. Among the most popular activities include whale watching, deep sea fishing, snorkeling, scuba diving, jet skiing, among others. The coral reef of Los Cóbanos is formed by the essence of coral and calcareous red slabs, giving rise to external ridges, being among the oldest and most biologically diverse ecosystems on earth. It is an ecosystem producer of food in abundance to support existing rich and varied biodiversity in the area. 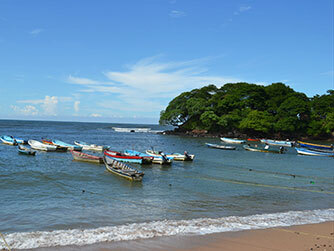 The reef was declared a Natural Protected Area by the Ministry of Environment and Natural Resources of El Salvador on November 16, 2007. There is possibility to observe humpback whales during the months of October to February. 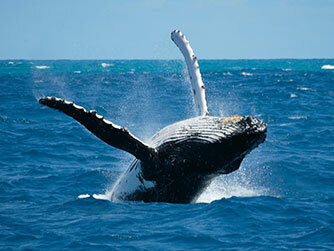 During the boat trips offered by tour operators for whale watching, you will be traveling about 10 miles offshore. Sometimes you can also see large turtles and dolphins. The FUNDARRECIFE foundation protects the reef and can arrange a boat tour to places of diving, snorkeling and fishing. Phone: +503 2417-6825, 2223-6767. By car: From San Salvador head towards Sonsonate, then to Acajutla, through the diversion Kilo 5, you will find the detour to Los Cóbanos. By bus: Terminal de Occidente in San Salvador, take Route 205 that travels to Sonsonate. In Sonsonate take Route 257 that leads directly to Playa Los Cóbanos.